Nitro Cold Brew is where coffee meets science. Beginning life as freshly roasted speciality coffee beans, before being ground and brewed in cold filtered water for 20 hours, and then micron-filtered for clarity and crispness. This results is a lighter, sweeter and smoother tasting coffee. Then our chilled Single Origin Cold Brew is infused with pure nitrogen, resulting in a velvety soft drink with a distinctively creamy quality. The infusion of nitrogen gives a thicker more refined texture compared with regular Cold Brew, and its fuller, naturally sweet flavour eliminates the need to add either milk or sugar. Every Nitro Cold Brew is crowned with a thick, creamy stout like head that tastes every bit as good as it looks, with notes of chocolate and cherry (depending on the origin of the coffee) . Simplicity, serving our Nitro Cold Brew should be as simple and rewarding as drinking it! Our counter-top dispensers are truly ‘plug and play’. No need for nitrogen bottles, high pressure gas lines or chilled storage. Our shelf-stable ‘bag-in-box’ of single origin Cold Brew is connected to our counter-top dispensers that chill, infuse and pour on demand. From its humble beginnings as speciality grade beans through to the mystic cascade of bubbles that pours direct from the tap, we have dedicated 18 months of intense research and development towards each and every serving of Nitro Cold Brew. You see, adding nitrogen doesn’t guarantee a great Nitro Cold Brew; it’s merely the final component. A great Nitro Cold Brew is down to passion, preparation and a committed approach to roasting, brewing and dispensing. Here at F&E we only use the finest speciality grade beans and roast and brew in house from our purpose built facility in Bury St Edmunds. Our dedication to great coffee is evident in every sip. It’s a product we’re incredibly proud of and one that has furthered our devotion to delivering the finest coffee to our customers. With a vast background in food service equipment and systems expertise, we are pushing the boundaries of Nitro Cold brew dispensing. 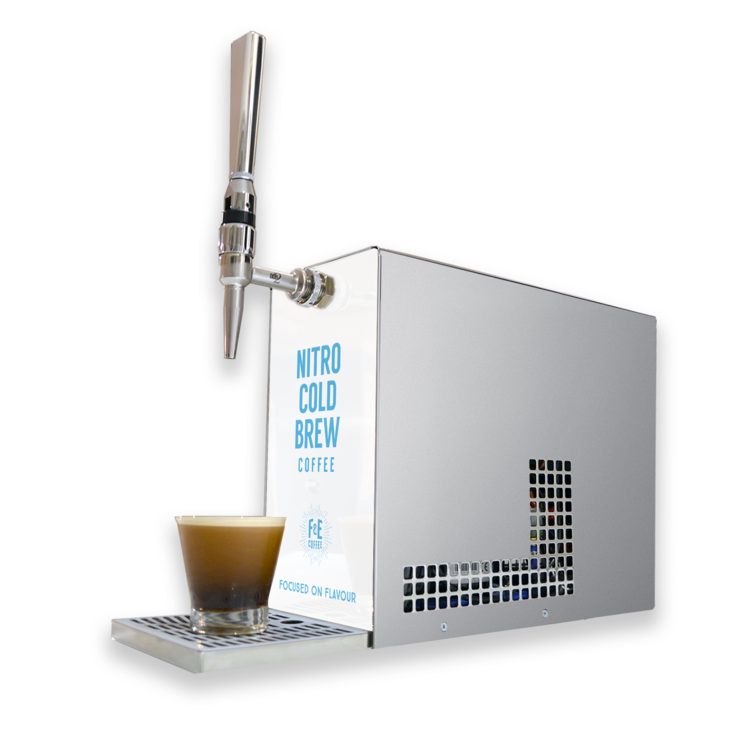 With a range of options available, we will work with you to create your own Nitro Cold Brew dispensing solution. Whether you’re a bar, restaurant or a catering establishment we can offer an easy to use platform that ensures a no compromise delicious Nitro Cold Brew every time. 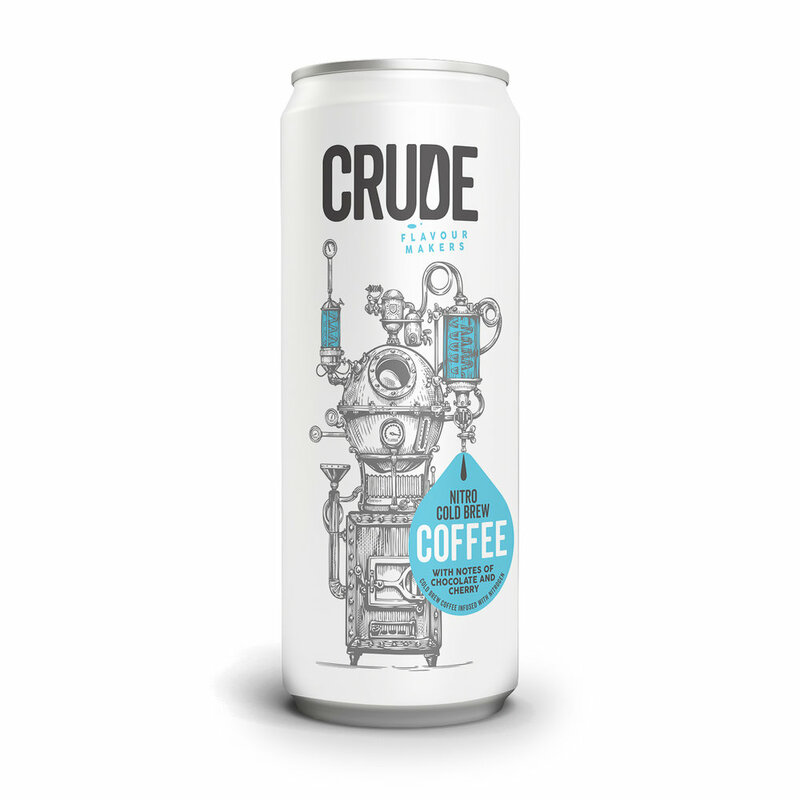 Nitro Cold Brew is now also available in a Can from our friends at Crude Drinks.